ERIK MATTI won as best director in last year’s Metro filmfest for “Honor Thy Father”. But he complained about his film being disqualified as best picture and this led to an investigation that revamped the way entries are screened. Is he happy now? chance of hitting it big at the box office since horror flicks are almost always blockbusters in the filmfest. 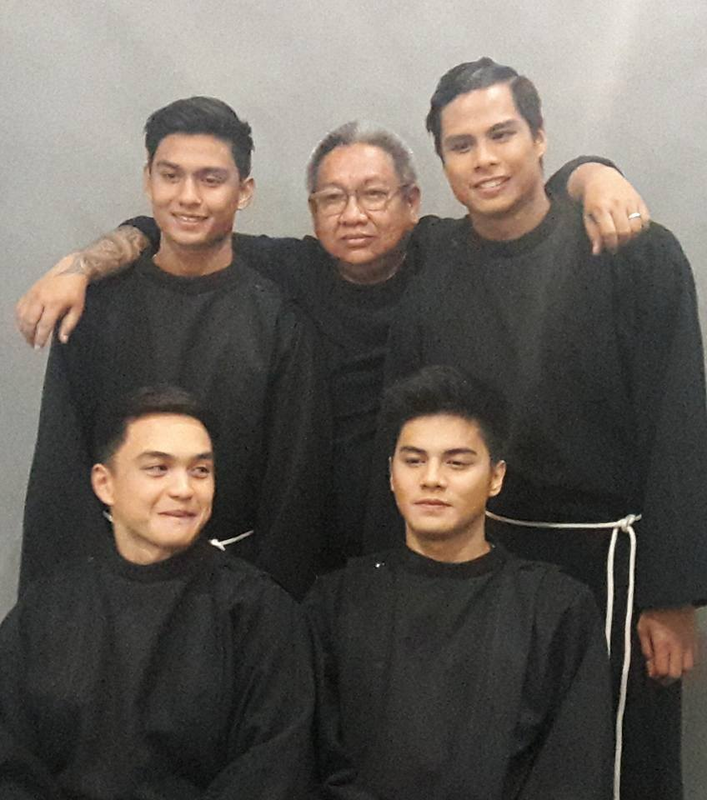 “Seklusyon” is set in 1947 when candidates for priesthood, called deacons, are separated from society and put in a secluded place to make sure they will not be seduced by the devil to turn their back on their vocation and avoid their ordination as full fledged priests. An ensemble film, "Seklusyon" stars Rhed Bustamante as a child faith healer who turns out to be the devil’s disciple. Neil Ryan See is the priest investigating the case of Rhed. Ronnie Alonte, Dominic Roque, Johnvic de Guzman and JR Versales are the four young deacons who experience paranormal activities while in seclusion. Also in the cast are Lou Veloso as a former priest who’s the caretaker of the old house, Phoebe Walker as the nun who acts as the guardian of the faith healer, Elora Espano as Ronnie’s ex-girflriend, Sherry Lara as the mother superior, plus Jerry O’Hara and Teroy Guzman. 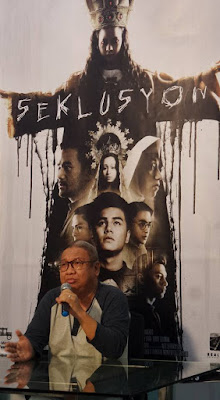 Direk Erik is really very busy these days as he is also doing an action film, “Buy Bust” with Brandon Vera and Anne Curtis, and the pioneering “On the Job, The Series” for HOOQ with a star-studded cast.